A guide to document our library Maker Days and provide related resources. Candace Pauly has been doing fiber arts for 5 years, but is a lifelong artist and crafter. 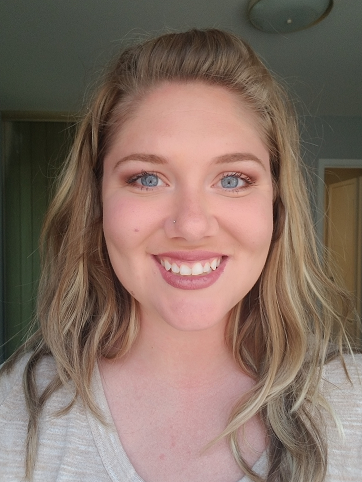 She received her bachelor's of art from Texas A&M - Corpus Christi with a focus on photography and design, but discovered crocheting her senior year. Now, she is a full time mom, fiber artist, crafter, and teacher. Candace crochets, knits, spins, designs patterns and processes all types of fiber by hand, the old fashioned way! "How does yarn get made?" "I've always wanted to knit or crochet but never knew how to start." If you've ever had these thoughts, be sure to check out this Maker Day event! 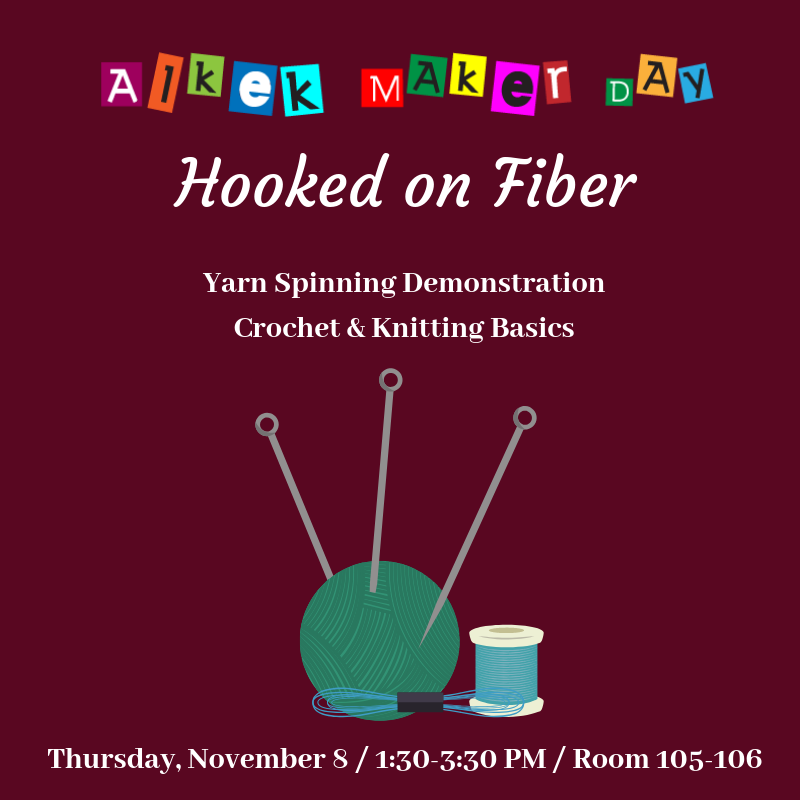 In this workshop you will learn about how to process fiber and prepare it for spinning as well as what to do with that fiber once it is turned into yarn! No experience required, but patience is a must. Students will also learn the basics of crochet and knitting. Feel free to bring your own crochet and knitting supplies, but materials will be provided for those who don't. Give a professional finish to your crochet garments and accessories with this indispensable compendium of technical know-how and troubleshooting tips. Techniques are organized in the order that you'd need them as you work through a project, from choosing the right yarn to looking after your finished garment. Step-by-step photographs, diagrams, and clear instructions guide you through each stage of your work, or you can dip in for help with a particular problem. Discover how to substitute yarns and accurately estimate the amount required, adapt patterns to create tailor-made garments, and lengthen an existing piece with trims and edgings. From basic chain stitches to filet crochet, there's advice for all kinds of stitches, mixing and matching, and dealing with gauge variations. You'll also find plenty of inspiration for adding an extra-special touch to your work using beaded embellishments and surface crochet!